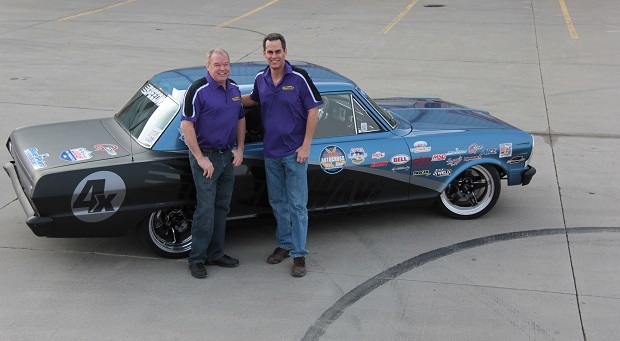 Al Unser, Jr and Robby Unser pose in front of Team Speedway’s AutoCross vehicle. If you’re talking about racing, Al Unser, Jr and Robby Unser are both names that might come up. One is a two-time Indianapolis 500 champ, the other a 9 time winner of the Pikes Peak Hillclimb. However, neither is likely to make the list of likely autocross stars. But that’s exactly what they’re doing, racing for Speedway Motors as part of Team Speedway in the Goodguys 2nd Indy Nationals at the Indiana State Fairgrounds on June 5-7, 2015. We had a few questions for the drivers about this event, their participation, and what they hope to accomplish. they were gracious enough to answer. To see them race in the Pro Class, check out the competition both days of the event at the Indiana State Fairgrounds. 1. What made you both decide to compete for Team Speedway this year? Al Unser Jr: The deal for me came about with my cousin Robby. 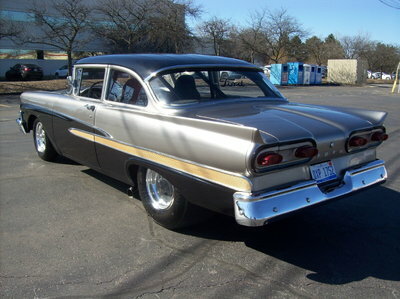 He talked about how much fun it was to drive the Nova at the AutoCross events. He said that I should give it a try. I tried it and he was right. It’s a blast! And with Team Speedway, Jane and Carson are a wonderful family and I truly enjoy working with them. Robby Unser: I drove for Speedway almost 30 years ago and we always had great success working together, so when Carson called me last year when they decided to run the Nova in an SCCA invitational event they were hosting, I was honored and excited and happily accepted. 2. Autocross is very different than other types of racing? What appeals to you about it? What challenges you? Al Unser Jr: The fact that it’s extremely narrow going through the cones and it’s very challenging to go fast without knocking down the cones. Robby Unser: I think autocross is a great platform to develop the parts and products for the muscle car, hot rod, & pro-touring cars. From the driving perspective, autocross is challenging in that it is very precise and technical, so for me makes it a lot of fun. 3. What’s been your best run so far? Robby Unser: I’ve truly enjoyed every run. Every event is a different course and I love meeting new people, connecting with fans and friends, and giving people rides in a really awesome car. 4. How do you approach these events for Team Speedway? 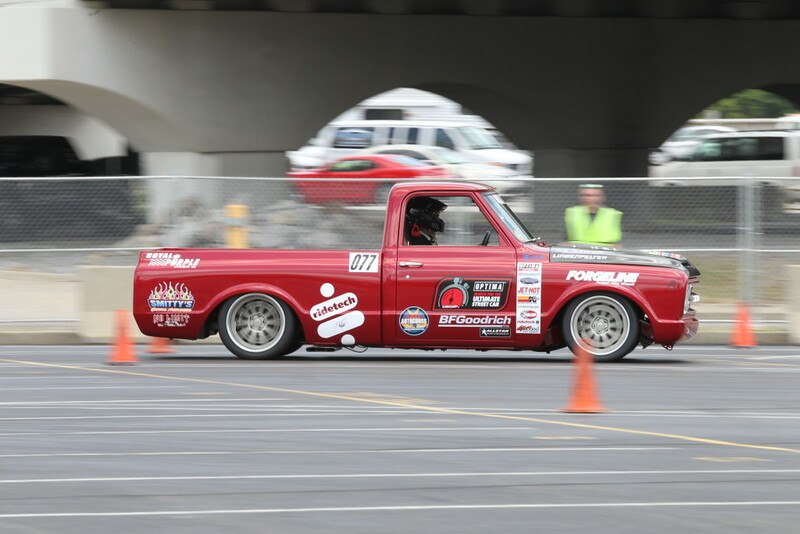 What’s the ultimate goal of competing in the Autocross competition? 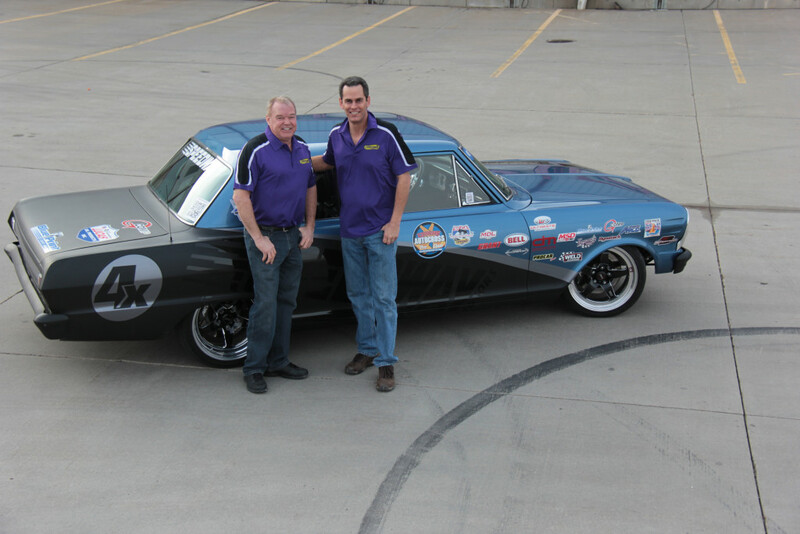 Al Unser Jr: The ultimate goal in competing is to win and to showcase our ’65 Nova with the G-Comp suspension, our BluePrint racing engines, and our AFCO parts and pieces. Robby Unser: As with any competition we’re always trying to win, but for Team Speedway we really focus on developing and improving our sponsor’s products and making the car the very best it can possibly be. 5. What’s the best part of these events for you? Al Unser Jr: Getting to talk to and mingle with the race fans that come out to watch the Autocross. And of course driving the ’65 Nova for Team Speedway! Robby Unser: The interaction with the people, being able to meet the fans, spend time with them and give them rides. I also love working with Team Speedway and really enjoy working on making the car it’s best. We have a great team and I really enjoy these events. 6. Any advice for the non-professionals as they tackle the Autocross course? 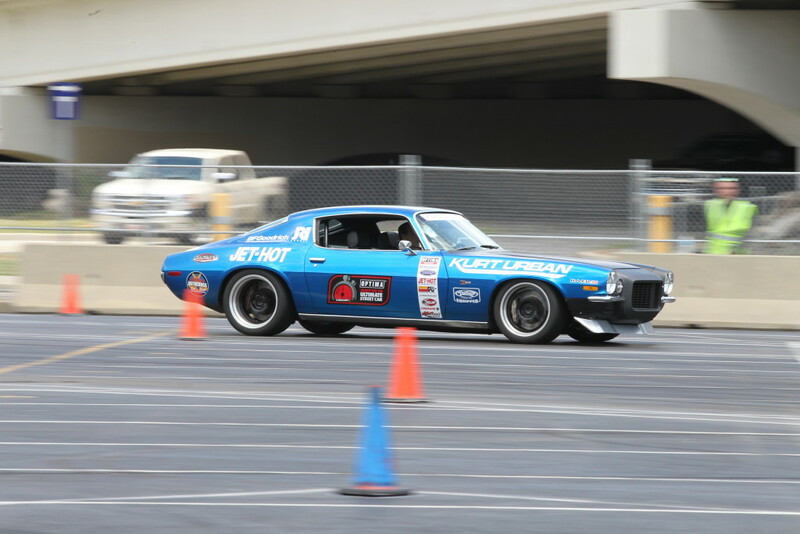 Al Unser Jr: Ummm, the advice most given at the Autocross events for the non-professionals is DO NOT knock down the cones! It’s just been an absolute BLAST with the Autocross events around the country. Both Robby and I both enjoy riding with the drivers, having the drivers ride with us, and talking with fans. It’s just been a blast all around. Robby Unser: First make sure you enjoy yourself and have fun. Take it easy, learn the course, and slowly start pushing your car.